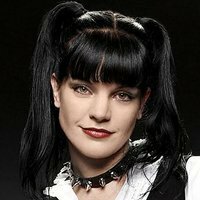 Pauley Perrette was born in New Orleans and moved several times as a child due to her father's job. 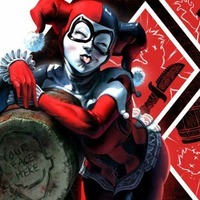 She graduated college with Honours - receiving her Master's Degree in Criminology. She also studied Sociology and Psychology. She was - and still is - completely obsessed with the study of Forensic Science. She released a CD, and also has her own record company - GO Records. She currently lives in L.A. with two dogs, a cat- and any random people who show up. She has a sister - whom she absolutely adores, as well as a father. Her mother passed away in 2002. Her sister currently lives in Tennessee, and her dad lives in Alabama. Perrette says that the thing that keeps her going is Faith. Faith in God, Faith in herself, in time, in change, in infinity, in resilience, opportunity, fate, learning, the similarities and differences in us all. But, above all else, a faith in the fact that someone has everything under control - no matter how bad things may seem. Her two favourite published CDs are "Distorted Lullabies" and "Precious". She was the lead singer in the all-girl punk band Lo-Ball. Cares great deal about car safety, so much that she has three Volvos. Even tried to get her character on NCIS to drive a Volvo. If all else fails, she would like to be a Security Guard someday. Engaged to 'Michael Bosman' (qv) [January 27, 2009].